You hear it all the time: don’t open emails from people you don’t know, and don’t click on links in emails you don’t trust. But that isn’t enough. A lot of times, malicious links can come from friends who have been infected, or from emails that look legitimate, but are actually fake. This is known as phishing. If you want to be truly secure, it’s best to never click on links in emails. But that’s not always realistic. The middle ground option is knowing how to investigate a link before you click on it. First, check is if this link goes where it says it goes. If you hover your cursor over the link, the destination should pop up at the bottom of your browser window. If it doesn’t, right-click on the link and select “Copy link address.” You can then paste this somewhere safe such as a new Notepad document and examine it. If the link says “ebay.com”, but the real destination says “ebay.clickme.com”, something is suspicious, don’t click on it. Remember, just because it has the word “ebay” in it doesn’t mean it’s going to ebay. eBay needs to be before the “.com” to be truly legitimate. Ransomware bursts in to your PC, encrypts your files and hold them for ransom payment. According to Sonicwall, ransomware attacks rose from 3.8 million in 2015 to 638 million in 2016, an increase of 167 times. You must defend yourself from these malicious thieves who only seek to separate you from your hard earned money. Ensure you have an active firewall and antimalware solution in place. A good third-party antimalware solution is recomended. Ensure that Adobe Flash is turned off, or surf with a browser, like Google Chrome, that turns it off by default. Turn off Microsoft Office macros, if they’re enabled. Don’t open questionable links, on a webpage or especially in an email. The most common way you’ll encounter ransomware is by clicking on a bad link. Stay out of the bad neighborhoods of the Internet because the risks increase if you’re surfing where you shouldn’t. For dedicated antimalware protection, consider Malwarebytes 3.0, which is advertised as being capable of fighting ransomware. Ransomware encrypts and locks up the files that are most important to you. There’s no reason to leave them vulnerable. Backing them up is not an option anymore, so back up your data frequently. When you use an external hard drive to perform incremental backups, detach the drive when finished to isolate that copy of your data. This is VERY important because ransomware will also encrypt any attached drives. I additionally recommend you take advantage of secure cloud storage provided by Carbonite. Ransomware is an ominous reminder that people mean you harm. Treat your PC as part of your home by securing it from outside threats and you’ll rest easier knowing you’ve protected. A new piece of malware is making the rounds using the cloud storage service Dropbox. 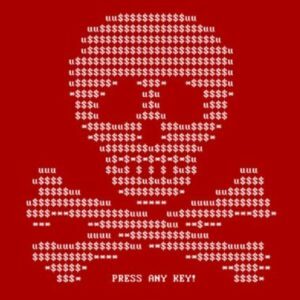 This ransomware named Petya is reportedly able to lock you out of your computer and forces you to pay ransom to regain access to your files. According to a report from Trend Micro Petya is being distributed via email. The package is included in a email message from a professional looking for work, which contains a Dropbox link that will supposedly allow the recipient to download their resume. The file is a self-extracting executable that installs a Trojan which blocks any security software and downloads the Petya ransomware. Once that is completed the real attack gets started. Petya overwrites the master boot record of the infected computer, causing a blue screen of death. When you try to reboot, you will see a bright red screen with an ASCII skull and crossbones. There’s no way of escaping this because safe mode and system restore points have been disabled. You are then informed your computer has been locked with a “military-grade encryption algorithm” and only way to get your files back is the dark Web and pay for a key with bitcoin. The going rate is $431, and that doubles if the victim doesn’t pay within a certain time period. This is a very nasty piece of malware and proves criminals are always developing new methods of attack. To avoid being targeted you must be vigilant about links in emails from unknown senders. When you’re downloading free programs onto your computer, chances are you’re also installing PUPs, or Potentially Unwanted Programs. Here’s how they get on your computer, what they do, and how to remove them. PUPs often come bundled with software that you did, in fact, want to download. By swiftly clicking through an installation, it’s easy to miss the fine print and “agree” to these extra applications. Adobe released a patch for a critical vulnerability in Flash Player faster than it originally anticipated in response to high-profile cyber espionage attacks against governmental targets. 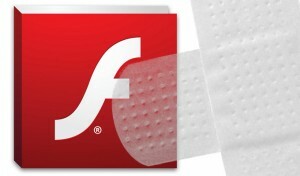 The most recent Flash Player updates released Friday address a flaw that’s already exploited by a Russian espionage group referred to as Pawn Storm, in addition to two other critical vulnerabilities reported privately to Adobe. 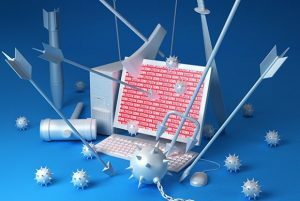 The CVE-2015-7645 vulnerability is actively exploited by the Pawn Storm group in attacks targeting several foreign affairs ministries from around the globe, security researchers from Trend Micro reported Tuesday. Adobe confirmed the vulnerability Wednesday and initially scheduled a fix for this week. It then exceeded its own expectations and delivered the patch Friday October 16th. Users of Flash Player on Windows and Mac are strongly advised to upgrade to version 19.0.0.226, and Linux users to version 11.2.202.540. Users of the extended support release should ensure that they’re running the most up to date 18.0.0.255 version. Along with fixing CVE-2015-7645, the new updates also address two type other vulnerabilities– CVE-2015-7647 and CVE-2015-7648– reported by Google’s Project Zero team. If left unpatched, all three flaws can allow attackers to execute arbitrary code on affected computers and take control of them. There is a relatively active virus on the loose called CryptoWall 3.0. People experienced problems with this virus in recent days. The virus attacks .jpg, Office and other files and encrypts them so they’re unable to be opened. Unfortunately, the virus is also considered “ransomware” which means the author attempts to extort users into paying to get the encrypted files unlocked. Reports indicate that the initial ransom starts at $500.00 and the files may remain unavailable even after paying the fee. My experience shows that multiple anti-virus programs have been unsuccessful at blocking this attack. We’ve also had mixed results when attempting to restore files from backups. It appears that the virus is primarily being transmitted via normal methods: email attachments and embedded links within emailed documents. As always, be sure you know your sender before opening any attachments and, if uncertain about the message, contact the sender before opening the suspect email. If in doubt, delete the suspect email message. Several users have downloaded .zip, .pdf and .jpg files, plus other file extensions with .exe names. Unfortunately, this is quite common since organizations are reviewing job applicant credentials and are processing orders/tracking shipments: Both of these message types may include file attachments. The virus has encrypted files on local hard drives, external drives (like backup systems) as well as flash drives and shared network locations. Again, there is no guarantee that we can restore files once they’ve been encrypted. 1) Your Internet Explorer and/or Chrome browser home pages will be redirected to the Ransomware site. 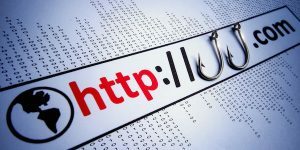 IF you see any of these files or if your browser home page is hijacked to a different location than normal, immediately shut down the computer in order to reduce the risk of further file corruption, then contact me. Finally, I would not be a bad idea to have several flash drives in use as alternative backup options. Backup any critical files and keep rotating them every three days or so in case the last backup is already corrupted. 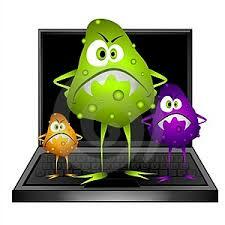 Unfortunately, if the virus is already on your system then the backups files could be corrupted and useless. With over 10,000 brand-new viruses reported per week, who wouldn’t like the piece of mind that their data is safe? Some viruses, such as trojans, can open up a back door entrance into your computer, enabling the bad guys to take over your system. From there they can steal your data, or use your computer as part of a “bot-net” to attack more powerful systems. Other viruses, called scareware, will deceive you into believing that your computer system is seriously infected. Once you pay the “anti-virus” maker, they now have your charge card information to do with as they want. At Ace Computer Guy, our objective is to keep your computer free of threats and ensure the security of your data. Recently a new (zero-day) exploit that attacks Adobe Flash Player and distributed through the Angler Exploit Kit, delivers malware that takes control of your computer to commit click fraud. This exploit is spreading extremely fast and has now been detected on some of the top 500 most visited websites. The first is a scam that promises to give you a free iPhone 6. Yes, it sounds too good to be true and it is. The scam first shows up as a shared post. 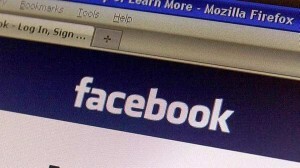 Users who click it are taken to a Facebook fan page where they are asked two do three things. The first is to “like” the page and the second is to share the page with your friends so they can enter the contest too. Sharing the page spreads the scam to your friends. Then to get your free iPhone, you’re taken to a different website, and that’s where the real trouble begins. That external site tells you to fill out a quick survey to get your free iPhone, but if you fill it out, you instead sign yourself up for services you likely don’t want. “Some of the available surveys want you to provide your mobile phone number, ostensibly to go in the draw for extra prizes or offers. But by submitting your number, you will actually be subscribing to a very expensive text-messaging “service” that will charge you several dollars every time it sends you a message,” reports Hoax-Slayer.com. The scam also takes your name, address and other personal information which it then sells to third-party marketers to send you junk mail and annoying phone calls. The video seems to show an Asian woman about to get her head chopped off with a sword, and it looks like tons of people have already liked and shared the video. Call Ace Computer Guy to remove malware programs from your computer. Potentially unwanted programs, also known as PUPs, are a real threat. A July 2014, blog post on CERT.org shows the pervasiveness of such programs on search engine results, software portals, popups, ads, etc. Hi, it’s Will. We are all probably annoyed by software that bundles other applications that we didn’t ask for. You want a specific application, but depending on what the application is, where you downloaded it from, and how carefully you paid attention to the installation process, you could have some extra goodies that came along for the ride. You might have components referred to as adware, foistware, scareware, potentially unwanted programs (PUPs), or worse. Sure, these may be annoyances, but there’s an even more important security aspect to these types of applications: attack surface. Recently I was working in a virtual machine, and I needed to extract an archive. 7-Zip seemed like a reasonable choice, so I used the default search engine in the default browser in the virtual machine. I encountered quite the minefield, and I hadn’t even gotten to the point of downloading anything yet! It’s not that any of the sites outlined in red are necessarily malicious, but rather, if 7-zip is installed from any of those sites, I will likely end up with additional unwanted software. This got me wondering about what sort of software other folks might be downloading. 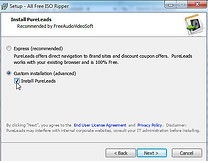 There are sites that are known for bundling installers for the purpose of generating advertising revenue, such as Download.com, Softonic.com, or Winstally.com. Let’s look at a single download from one of the many sites where you can download software, in particular, KMPlayer from CNET Download.com. I chose this application from the list of popular downloads that Download.com provides. In any given week, this application is downloaded approximately half a million times. Call Ace Computer Guy to remove potentially unwanted programs from your computer. Doing your work as a standard user on Windows operating system is the safest way to use your computer. When I need to perform an administrative task, I switch to my “admin account”, complete the task, then log off. I don’t surf the internet or download stuff with my admin account because Microsoft Windows is less vulnerable to viruses without admin rights. After setting up a new computer, I don’t need administrative rights that often. This article provides evidence that bears repeating. Taking away the administrative rights from Microsoft Windows 7 users will lessen the risk posed by 90 percent of the critical Windows 7 vulnerabilities reported to date and 100 percent of the Microsoft Office vulnerabilities reported last year. It will also mitigate the risk of 94 percent of vulnerabilities reported in all versions of Internet Explorer in 2009 and 100 percent of the vulnerabilities reported in Internet Explorer 8 during the same time period. Finally, it will reduce the danger posed by 64 percent of all Microsoft vulnerabilities reported last year. The Microsoft Tech Support Scam continues to search for victims. A Microsoft executive who heads the company’s customer service and support group, said in a May 2, 2014 blog article; “What’s really alarming is that this type of scam shows no signs of slowing down”. These scammers are targeting individuals and businesses. The scam relies on a combination of aggressive lies and tactics. A caller posing as a computer support technician, most often claiming to be from Microsoft, tries to trick you into believing that your computer is infected with a bad virus. Then the sale pitch starts, with the scammer attempting to convince the you to let the “technician” remotely access your computer. These fake support technicians only want to separate you from your money for worthless “help” or sell nonexistent warranties. Many times they will install malware on your computer while they have it under their control. A senior security researcher from Malwarebytes has played along with a Microsoft technical support scammer, documenting the whole episode in a video, to showcase the social engineering that takes place. For the uninitiated, the scam involves people in Indian call centres ringing up and saying that they are representatives from Microsoft technical support. They then tell the victim that their computer is running slowly because of viruses or because they need an additional piece of software — at a cost, of course. It’s been floating around for almost as many years as the Nigerian money transfer scam and is still going strong. This week, the scammers called the wrong person: Jerome Segura, a senior security researcher at anti-malware company Malwarebytes. Being familiar with the sting, Segura played along with the female caller, recording the entire episode in a handy YouTube video. It’s not the first time that scammees have documented scammers — there are many videos on YouTube such as this one, this one and this one — but Segura made an effort to remain calm, not try and troll the scammers and genuinely try and understand the sophistication of the scam. He didn’t expect it to turn nasty at the end when the scammers became impatient and deleted a load of files from his computer. Avira antivirus stops all kinds of viruses and it’s anti spyware protects against spyware and malware. AntiRootkit detects hidden rootkits. QuickRemoval removes viruses at the push of a button and Avira’s AHeADTechnology detects even unknown viruses by their profiles. Avira AntiVir Premium reliably protects your computer against all viruses, worms, trojans, rootkits, phishings, adware, spyware, bots, and dangerous “drive-by” downloads. Avira has several updates every day. Avira’s AntiVir has remarkably strong detection. The program offers a wide selection of scan customization, letting users scan both internal and external hard drives, run a preloaded scan for rootkits, or customize a scan. On a my computer, the full scan took about 1 hour and 10 minutes, which I understand is an average scan time. Impoetantly. Avira includes antispyware protection and a scanning technology that can crack open “locked” files. Avira has internal security to prevent AntiVir’s files from being maliciously altered, and one-click threat removal. When Avira quarantines a file, its information is on display along with options to scan it again, restore, delete, and e-mail the file to Avira. Avira can be turned on or off in part or in full and offers three intensity levels. 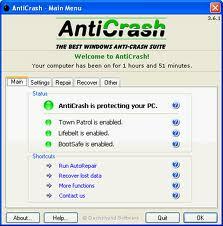 AntiVir does not require a special uninstallation tool, unlike many othe anti virus programs. 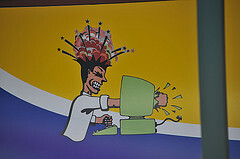 * QuickRemoval eliminate viruses at the push of a button NEW! * NetbookSupport for laptops with low resolution NEW! If you don’t have antivirus software protection, your computer could be infected with malware. 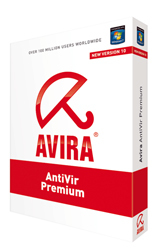 Avira AntiVir Premium offers has excellent protection against viruses, worms, Trojans, rootkits, adware, and spyware that has been tried and tested over 100 million times worldwide. Online surfing is getting more and more precarious every day. If Fake Microsoft Security Essentials sounds familiar to you, then you probably anticipate today’s subject. A new bogus anti-malware application has been released. 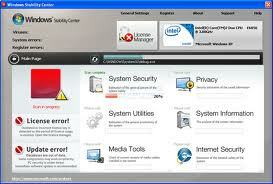 Its name is Windows Anticrashes Utility and it is closely related to Fake Microsoft Security Essentials. Once it enters your computer, you will get the fake Microsoft Security Essentials alert, claiming that an Unknown Win32/Trojan was found on your hard drive. Then you will be advised to let it scan your system and if you allow that happen, it will end by telling you that some file of yours is infected with Trojan.Horse.Win32.PAV.64.a. After that, it will assure you that the best thing to do is install Windows Anticrashes Utility because it will help you eliminate the virus. Don’t believe any of that and don’t install it on your computer because if you do, you are in bigger trouble. It only takes to press OK and a chain reaction will be triggered. Firstly, it will restart your PC, then Windows Anticrashes Utility screen will appear before your normal Windows desktop is shown. It will then recommend you to scan your machine. Here comes the really scary part – after it’s done with the scan, it will list quite a few infections that have affected your computer. You do not need to purchase the full version of Windows Anticrashes Utility to help you in any way because it is utterly useless. Windows Necessary Firewall is just another virus developed only to make your computer vulnerable and leave it exposed to all the existing threats. As proof of that, it can be noted that this fake anti-spyware is associated with the Fake Microsoft Security Essentials infection. If you ever have the misfortune to encounter this anti-spyware application and see its alerts or fake scan reports on the screen, just ignore them. This rogueware is nothing but a scam and the only reason it displays these warnings, is to charge you for useless software. When choosing a program to ensure the security of your system, you have to distinguish between a legitimate and secure anti-spyware program and malicious programs. I am going to be as concise as possible. Windows Custom Settings is a fake anti-virus program with the only purpose of its existence is to scare you by displaying nonexistent security threats and convince you pay for the imaginary services it offers. How do you know you’ve been attacked by it? Well, if you start noticing annoying pop-ups, occasional system crashes, slow system performance, unexpected loading of web pages or blocking exe files from running, then you may infected. Here’s a word of advice – don’t take seriously any of the alerts or scan results it shows you because none of them are true. And what you should do is stay away from this application, and in case this advice comes a bit too late, then get rid of this bogus anti-virus program as soon as possible. 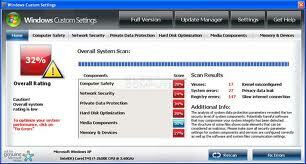 Use the best anti virus software available. I recommend Avira antivirus software. This post begins with a the deceptive name of the main character – Windows Troubles Solver. This is another new rogue anti-malware program. Windows Troubles Solver is very similar to the other fake security programs, distributed by the Fake Microsoft Security Essentials Alert Trojan. It most commonly gets into a user’s PC when you enter malicious web pages or free online scanners. You will most probably notice its presence when your computers starts working very slowly and will not be able to load a web page. This rogue launches itself automatically by showing you fake security warnings and then it starts scanning your computer. It is so arrogant that it will not even let you stop this process. After it is done scanning, it will display the staggering results, stating that your system has been assailed by an ‘Unknown Win32/Trojan’ infection. The primary objective of this rather convincing show is to make you believe that you need to acquire the extended version of Windows Troubles Solver, which can help you remove all the imaginary infections and threats. In the end, the most important thing you need to know is that you must not believe Windows Troubles Solver simply because it is useless. So what you should do is get rid of it as soon as possible. 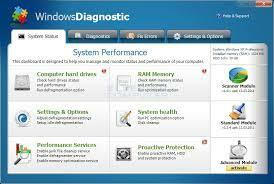 Another serious threat for your computer system has been detected lately under the name of Windows Diagnostic. Rogueware programs are developed to confuse victims and make them pay for some application that is, in fact, totally useless. Similarly, Windows Diagnostic uses a Trojan to mislead you into thinking your PC is in the danger of a terrible system crash. However, no matter how real all these warnings seem to be, they are nothing but a hacker attack. In order to seem even more real and accurate, Windows Diagnostic will act as if it scans your computer but it will just try to delude you, using false reports. Do not believe in any of these messages even if the program pretends to use some fake defragmentation tool. To sum it up, these malicious attempts to fix any system problems are aimed only at deceiving you into purchasing this ineffective program. There is no need to buy this rouge application at all. Be sure to install a genuine anti-spyware software program like Avira. Trustworthy, as it may appear to you, this program is just another rogue anti-spyware software, developed by the cyber criminals. In many ways, this program and any other intruder application are strikingly similar. Windows Stability Center is developed in such a way that it finds some vulnerability in the PC system and takes advantage of it. The fake software will produce hundreds of false alerts for serious infections. However, these are just empty threats, intended to scare you and make you believe in some danger that does not exist. Neither the warnings of a Trojan, found on your machine, nor some of the other frightening scan messages, are valid. The one and only plan of rogueware programs, is to confuse potential victims and prompt them to pay for a “real” anti-spyware software that is just a fake one. There is no escaping the fact that Windows Stability Center has not been developed to ensure the safety of your PC at all. On the contrary – buying this application will be only a waste of money and will, in fact, allow the intruder to accomplish its mission. Identity theft is a serious crime. It occurs when your personal information is stolen and used without your knowledge to commit fraud or other crimes. Identity theft can cost you time, money and ruin your good name. Deter identity theft by safeguarding your information. Protect your Social Security number. Don’t carry your Social Security card with you or write your Social Security number on a check. give it out only if absolutely necessary or ask to use another identifier. Don’t give out personal information on the phone, through the mail, or over the Internet unless you know who you are dealing with. Never click on links sent in unsolicited emails: instead, type in a web address you know. use firewalls, anti-spyware, and anti-virus software to protect your home computer. Be sure to keep the software up-to-date. Don’t use an obvious password like your birth date, your mothers maiden name, or the last four digits of your Social Security number. Keep your personal information in a secure place at home, especially if you have roommates, employ outside help, or are having work done in your home. Credit reports contain information about you, including what accounts you have and your bill paying history. The law requires the major nationwide consumer reporting companies – Equifax, Experian, and TransUnion, to give you a free copy of your credit report each year if you ask for it. Visit Annual Credit Report a service created by these companies, to order your free credit reports each year. Review financial accounts and billing statements regularly looking for charges you did not make. Defend against ID theft as soon as you suspect it. Place a “Fraud Alert” on your credit reports and review the reports carefully. The three nationwide consumer reporting companies have toll-free numbers for placing an initial 90-day fraud alert. A call to one company is sufficient. Close any accounts that have been tampered with or established fraudulently. File a report of criminal identity theft with law enforcement officials to help you with creditors who may want proof of the crime. Contraviro is a rouge program created to make you believe your computer is infected with malware and viruses. This rogue anti-spyware program is from the same family as Unvirex. Contraviro usually installs itself onto your PC without your permission and will be configured to start automatically when you log into Windows. Contraviro will display fake system alerts or fake security alerts to trick you to buy the paid version of Contraviro. This is an old trick from the creators of spyware. Contraviro causes your computer to slow down dramatically. Your privacy and data are at risk if it’s not immediately removed. Wireless computers and routers use radio waves to communicate. Those waves are strong enough to carry outside your house. hackers already know this. They’ll drive through neighborhoods searching for stray signals and try access your network and borrow your Internet connection. Hackers search for networks that use the default factory settings. Those settings usually include no security. You need to protect your network by configuring wireless network security on your router. Wireless routers are configured through a browser such as Internet Explorer. First, you need to connect your wireless router to a computer with a Network Interface Card (NIC). Connect the router from one of it’s LAN ports to your computers Network Interface Card using a RJ-45 cable. Open your Internet browser. To communicate with the router, you’ll need its IP address. You can find this in your manual under a heading like “configuration setup” or “manual configuration.” Most routers, for example, have an IP address like 192.168.0.1. Type it directly into your Internet browser’s address bar. You’ll then be prompted for a user name and password. These will also be listed in your manual. Now, you’ll see your router’s configuration tool. It looks like an ordinary Web page. Most new wireless routers have a network configuration wizard. Just follow the steps in the setup wizard. The wizard will detect whether you are using broadband cable or DSL. Each one requires a different configuration, (for example DSL uses PPoE authentication), however the setup wizard will walk though all the steps. Itâ€™s really that easy. Wireless routers default settings disregard security. That’s because low security makes them easy to install, but you need change your router’s settings to add security. Different routers put these settings under different menus. You should be able to find each without trouble. You need to change the default settings. Use at least 20 characters. Avoid words found in a dictionary. Include letters, numbers and symbols. Now your router is switched to use WPA encryption. But your computers don’t yet know what you’ve done. You’ll have to update them with the new setup. Here’s what to do for each computer you’ve got on the network. For Windows XP follow these steps. Click Start – Control Panel. Double-click Network Connections. Right-click Wireless Network Connection. Select Properties from the pop-up menu. Select the Wireless Networks tab. Under “Preferred networks”, click the Add button. In the box labeled “Network name (SSID)”, enter your network’s name. Under Network Authentication, select WPA-PSK. Under “Data encryption”, select TKIP. Under “Network key”, enter the same passphrase you used for your router. You’ll have to enter it twice to confirm it. Then make sure that the check box labeled “The key is provided for me automatically” is not marked. Finally, click OK. Your PC has many “ports” which are vulnerable to attack from a hacker. These ports are used to communicate internally with your monitor or printer or externally to the internet. For example, Port 25 is used for receiving incoming email and Port 80 is used to connect to the internet. In addition you have a unique IP number which is assigned to your computer by your Internet Service Provide which is required for you to use the internet. This is how you send and receive information. 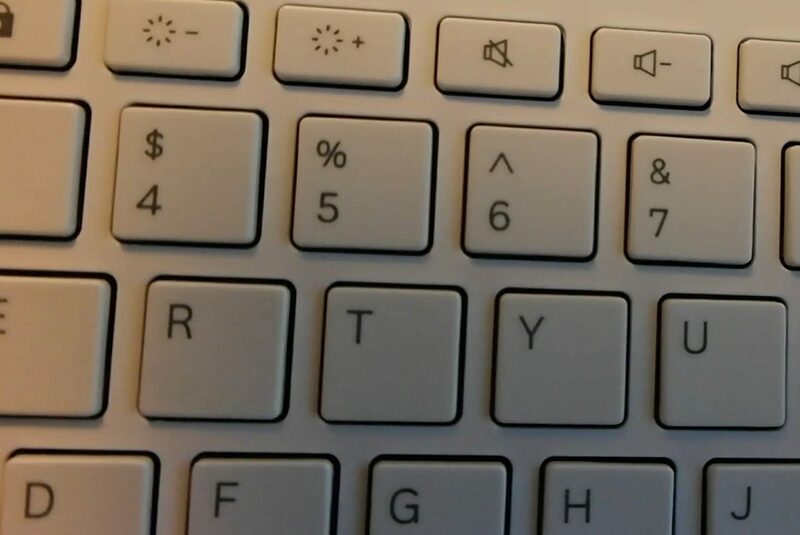 It also serves as your computer’s “address”. The IP number looks like this – 106.185.21.243. If you have a broadband or DSL connection your IP address rarely changes which makes your computer more vulnerable. Another issue is that with broadband connection you are likely to be on line for longer periods of time giving hackers more opportunity to attack you. Hackers use “port scanning” software to hunt for for vulnerable computers with open ports using your computer’s IP address. They will then send malicious programs through these open ports onto your computer. Another common way that hackers use to gain control of your computers is by sending out trojan viruses disguised as email attachments. Hackers typically send out these messages to 1000s of users with enticing headings and an attachment which they are hoping you will open. When the attachment is opened the virus loads itself onto your computer and allows the hacker to control your computer. 1) Make sure you are receiving the latest Window’s updates. 2) Have a good firewall installed. 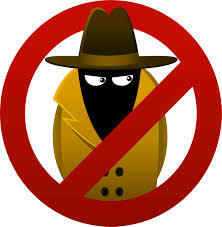 3) Install anti spyware removal software and keep the program up to date. Run a scan at least once a week or after being on line for a long period of time. 4) Install an anti virus program and keep the virus definitions up to date. 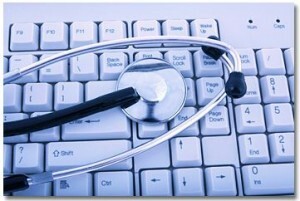 Carry out a virus scan a least once a week. Spyware is defined as any program that secretly gathers information about you (or your computer use) through your Internet connection. Once installed, spyware programs monitor your activity on the Internet and give this information to interested parties, such as marketing firms. Spyware can also cause problems with your computer’s performance. A computer infected with spyware may slow to a crawl or even a complete halt, unable to perform the simplest of functions. Adware displays pop-up advertisements whenever an associated program is running. Let’s say, for example, that you download and install a free program. If the program came with adware embedded within the software, every time you use that program, you could see pop-up windows. As well as producing unwelcome pop-up windows, adware may also be tracking other information about you such as Web browsing habits, user names, passwords, and more. These malicious programs are particularly dangerous, and can record almost everything you do on your computer, including email messages, chat room conversations, Web sites visited, and programs you run. They can even keep track of each individual key you press, which can help thieves snare your passwords and allow them to steal personal and financial information. Trojan horses are malicious programs that pretend to be harmless or desirable. Their purpose is to steal or damage your computer data. Some Trojan horses allow an attacker to gain unrestricted access to your computer whenever you are online. It is important to remember that not all programs that sound like spyware are harmful. Many are legitimate that help your Internet surfing by allowing a web site to keep track of the needs of its customers. Additionally, browser “cookies” can store personalized information for Web sites that you use frequently. The myYahoo start page is a good example of one such site. You can sign in to your myYahoo page, personalize the content, and your browser will store these settings in a “cookie” for the next time you visit the page. 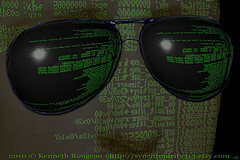 A majority of spyware comes in through downloading software off the Internet. It’s always a good idea to take extra care to read the information that comes with the program before you download so that you can ensure that you know exactly what you are downloading. This information will often be included in the Terms and Conditions you need to accept before the program can install onto your system. Avira, Best Anti Spyware Protection. For a virus or similar program to have any great impact it needs to be able to spread from one computer to another. They are specifically designed to get access to parts of your computer system that allow for communication with other machines. Below is a discussion of some of the most common methods. Every disk (hard disk, floppy, CD, DVD) contains a boot sector whether it is a bootable disk or not. When a computer is turned on, it looks for boot information. If the computer finds a disk with boot information, it reads that information and uses it to properly start the computer. If for some reason that boot information is infected with a virus, the virus is activated and possibly transferred to the computer’s hard drive (if the infection was on a CD for example). Once the boot code on the hard drive is infected the virus will be loaded into your computer’s memory every time you start your computer. From memory the boot virus can travel to any and every disk that is put into your computer. This is how the infection spreads. Most boot viruses could be on a system for a long time without causing problems, simply existing there to spread themselves. Often such viruses are designed to activate their bad behaviour on a specific date (Halloween for example). There are some nasty boot viruses that will destroy the boot information or force a complete format of the hard drive immediately after they get into a computer. When an infected application is run the virus activates and is loaded into memory. While the virus is in memory any new program file that you run can become infected. This means that there will be increasingly more applications on your system that are infected. Multiple infections are very common and will certainly cause system problems. Program files may function without any problems for some time but eventually they will have problems or multiple infections brings the entire computer system down. The data the program produces may be a first sign of infection such as saving files without proper names, or with incorrect/incomplete data being saved. Viruses of this type are often designed to seek out programs that are used to share information between users/computers such as email applications, screen savers, office document Macros, and self-extracting compressed files. Many of the most dangerous viruses are primarily spread through e-mail attachments – files that can be sent along with an e-mail message. In such cases, the user of an infected computer unknowingly attaches an infected file to an email message, and then sends the email to a friend or colleague. When the email is received, the virus is launched when the file attachment is opened, thus infecting a new computer. Email messages with animations, automated greeting cards, jokes, photographs, spreadsheet and document files, all have been documented to contain virus files. More and more frequently these days mass mailing email worms/viruses are being released. These attacks AUTOMATICALLY scan your computer’s files for any email address it can find and then uses your email application to AUTOMATICALLY send infected messages to any email address found in any file on your computer (not just email message files). It is important to be aware of the emails that you open to make sure that they do not contain harmful viruses. Even emails from family and friends could have a virus, if that person’s computer is infected. Powerful protection against malicious virus, worms and spyware infections.